It’s not easy to find a reputable house buyer in San Antonio who can offer you a great deal. Of course, you can advertise your property on several websites or hire a real estate agent to sell it for you. Also, you can choose to sell it to properties buyers who pay cash. Here are top 3 reasons to sell a rental property in San Antonio! Owning rental property is something that many people dream about. However, the landlord work isn’t easy. The responsibility that comes with this job can be overwhelming. You may see it as a source of income, but as a business, you should also expect to incur losses at some point. Constant repair is one of the things that many rental properties owners struggle with every day. Sometimes, during your routine visit to your property, you may be surprised by what some tenants do. Honestly, seeing the damage that tenants cause to your property can be very stressful. As a rental property owner in San Antonio, TX, it’s your prayer that anytime you bring in new tenants to your property they would be responsible. Unfortunately, this isn’t always the case; some of them are too ignorant to even take care of their own home. You may not realize the damage that they cause to your property until they move out. Once they move out, you can now inspect the house to see if its condition is perfect for another tenant to move in. This is when you will realize the damaged caused to your properties and the amount of work that needs to be done for them to be rent-able again. Also, bad weather is another challenge that landlords face. It doesn’t matter where you build your rental properties; you are vulnerable to the powers of nature. Unlike some of the damages caused by tenants, any damage caused by extreme weather conditions is your responsibility. If the damaged caused to your rental properties makes it difficult for you to find tenants, it’s wise for you to sell your home instead. A rental house that stays for a long period without tenants faces many other challenges, including vandalism and burglary. It’s true that any home can be broken into, but if a vacant rental house is broken into, it may take you days to know about the break-in. We all know that life isn’t easy, sometimes it may be good to you and sometimes it may be bad for you. However, this should not be a reason for tenants to pay rent late or even fail to pay. When you rent a house, you have the responsibility to pay rent on time. Surprisingly, majority of the tenants play “Mother Teresa” during the first days of their stay in your rental properties. Like any other type of relationship, their true colors will start to show with time. 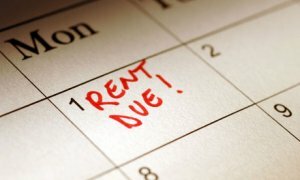 Some will start paying rent late or even refuse to pay. Of course, you are human and understand that people have problems. But, if you let your emotions control you and accept late rent from one tenant, news will travel fast and other tenants will start paying rent late. If you had a mortgage that you’re still paying, there’s a higher chance that you are going to find yourself in trouble financially. Eventually, if you don’t do something about late payments, you may be forced to sell your rental property at a loss. One mistake is enough for you to want to sell your house. In light of this, it’s wise for you to screen all your tenants before allowing them to live in your property. Also, some tenants may get fired or lose their job. Because of this, it’s going to be difficult for them to afford rent. This is something that you have to be prepared for when you become a rental property owner. You may have to sell your San Antonio rental property because of increased complaints. 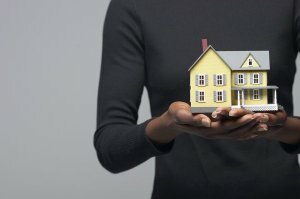 Rental properties are a form of business, and in business reputation is very important. Everything that your tenants do tells a lot about the kind of landlord that you are. When people start complaining about the behavior of your tenants or the condition of your rental property, it means that there are problems that you need to address as the landlord. You should know that when people, especially neighbors start complaining about the behaviors of your tenants, it means that they have a reputation to maintain. If this happens, you options are either to ask them to vacate your property or do something about their behavior. If the San Antonio police department or the city council starts filing complaints about your rental property, there are fines that you will be asked to pay. Landlords or property owners are the people that are obligated to pay these types of fines. Some landlords may be forced to seek help from their tenants, and this may lead to discussions that you wouldn’t like. The three reasons discussed above are things that you should expect to experience if you decide to become a landlord. Many rental property owners in San Antonio have gone through these issues at some point in their business. Sometimes, being a landlord may cause you more than you realize. If being a landlord proves to be too hard on you, it’s not worth it for you to continue dealing with the stress and hardships that comes with it. Also, if your houses stay vacant for long, it’s in your best interest to sell it. If you are tired of all the stress and headache of owning a rental property in San Antonio, we are here to help you. We buy rental properties in this city and within its surroundings. We understand the things that landlords go through every day, and we are willing and ready to make you a fair offer. If you are ready to sell your rental property to us, feel free to visit our website and fill out a form or give us a call at (210) 390-0750. This is a no-obligation offer. We pay cash and we are ready to buy your property whenever you are ready to sell it.